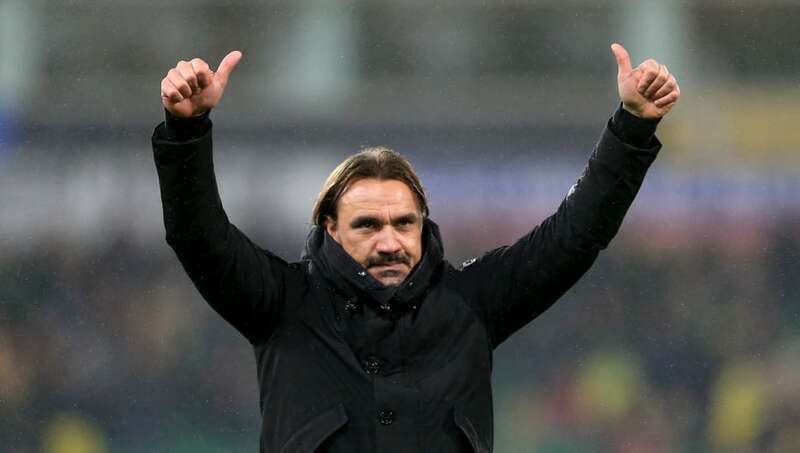 ​Norwich City manager Daniel Farke has signed a new deal with the club, extending his stay at Carrow Road until 2022. The German coach took over as the Canaries' manager back in 2017, and has lead the club to the top of the Championship table this season after an exceptional campaign. Bar a dramatic collapse, the Norfolk side look set to gain promotion back to the Premier League, where they will test their strengths in the English top tier for the first time since 2016. Speaking to the ​club's official website, the Farke said: "I’m over the moon and absolutely happy to feel blessed and honoured to be in this responsible role for this amazing ​club. I made clear from the first moment that I arrived here, it really feels like home. "Of course, right now everything is sorted and I’m unbelievably happy that further on I will be allowed to be in this role and work for this massive club. A big thank you to everyone. From the first minute, you got the feeling that everyone wanted to be successful and the way we wanted to work and the direction we wanted to head. "It was a bit of a shaky start after two difficult years for the club with relegation and first difficult year back in the ​Championship. I felt even in these times, there was a lot of support and trust and we are all happy that we have been able to pay back.